Santa Claus is coming to town as shown by this Kurt Adler 24" Musical Santa table piece. 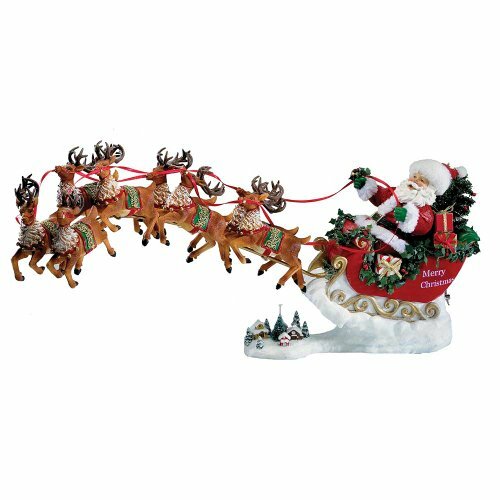 With Santa sitting in his sleigh and with all eight reindeers in tow, they are all ready to prance and dash away so you better watch out because he knows who's naughty and who's nice!. Tune: "Santa Claus is Coming to Town"